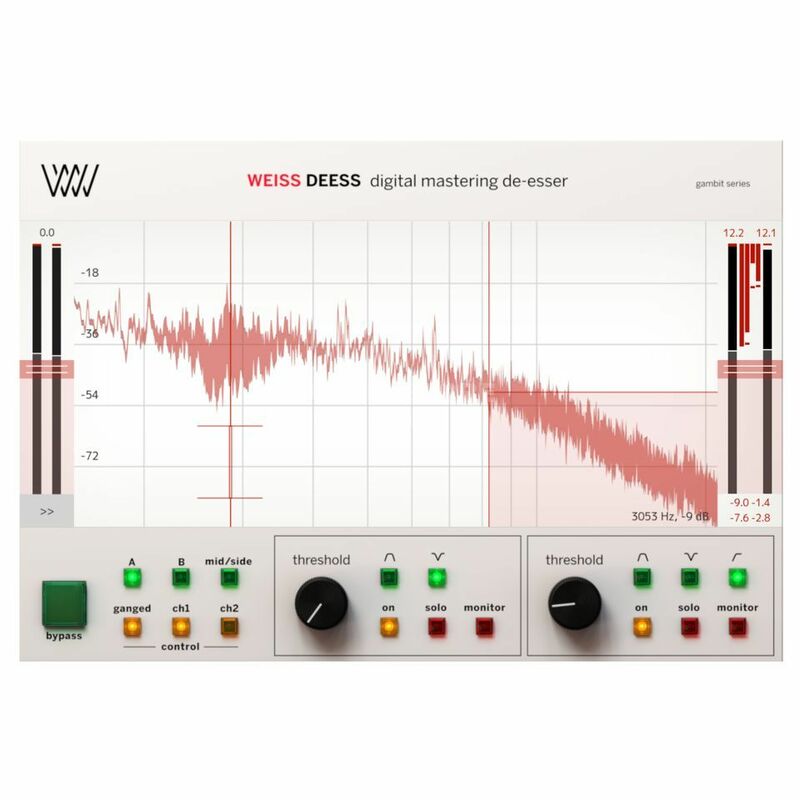 The collaboration between Daniel Weiss and SOFTUBE has paid off - Weiss Deess is a high-quality two-band de-esser plug-in based on the algorithms of the legendary DS1-MK3 mastering processor. It not only looks appealing, but also scores with many features that provide flexible processing options. Key features include multiple filter options with variable bandwidth for each band, a simplified main user interface, an advanced additional menu for parameters such as ratio, attack, release, a display for FFT and filter visualization and low-latency mode for editing during recording.